IP Intercom Systems have become an important product in the modern telecom network. All offices nowadays have connected intercom services allowing different departments to communicate with each other.Another important use of IP Intercom systems is to have conference calls between different individuals from different places in matters of important discussions. 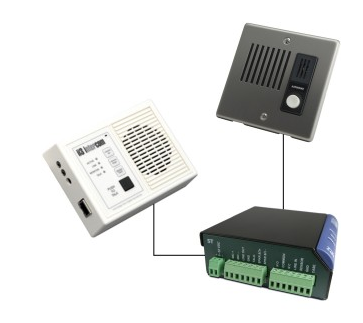 Likewise Intercom systems have many uses in different environments. If you take a modern school environment, IP Intercom Systems have revolutionized the education sector in ways unimaginable. Teachers have got new enthusiasm to teach with the introduction of technology to schools. IP Intercom systems have helped teachers do their job better. Corporate executives have got new license to perform their jobs easier with communication upgrading with IP Intercom Systems in the corporate environment. New and emerging presentation technologies has empowered instructors to help their students comprehend complex concepts and engage them more actively in the learning process. Instructors feel most confident in using these technologies when they have easy access to technical support. Office buildings, stadiums, theaters, train stations, airports, theme parks-to all of these IP Intercom products and services can bring greater comfort, better safety, and more dramatic enjoyment. Applications can range from conversation , paging broadcasting to emergency paging and broadcasting, audio triggering. Users can choose their communication between two communication modes according to their requirements. Master-to-Master station communication for duplex conversation at factories, hospitals and various other facilities and Master-to-Sub communication used in places like schools as was described earlier. These system’s impressive scalability enables its users to configure an IP Intercoms System to satisfy their business needs starting from a small system to large complex systems. The features of IP Intercom Systems can be mainly identified as basic and additional features.Easy Set-up and configuration, Paging capability, Activity call logging, Security, Handset or hands-free conversation , Recall, Redial, Remote response, Single-digit dialing, Call transfer, Comprehensive call forwarding features, Three-party conferencing are just few of them. since existing wiring can be used and new components can easily be plugged in. The maintenance applications has the capability to monitor system status, troubleshoot, maintain logs and even system updates. These systems are an investment in the long run for a company even though the initial investment is huge. Calls between stations are free of charge, allowing users to enjoy significantly lower telephone bills. Overall ownership costs are also reduced by the open-ended system architecture and network scalability. IP Intercom installation increasing up to over 100 components to operate across over 1000 stations.